Baeutifully abrasive experimental noise cellist Jasmine Pender – better known as Rotten Bliss – is the linking factor between two London gigs towards the end of the month. For the first one, she joins a crew of classically-slanted avant-gardistes ensconced for an evening on board The Golden Hinde, the London-docked reconstruction of Francis Drake’s sixteenth-century global circumnavigating galleon. Also below decks for the occasion are experimental flautist Alex McKenzie, experimental violinist Nnja Riot and sacred-pagan-minded, multi-national experimental folk ensemble Seven-Headed Raven (led by Chrome Hoof-er Tim Bowen on cello and vocals and singing multi-instrumentalist Catherine Gerbrands of Valerie & Her Week of Wonders/An Infernal Contraption, incorporating bowed saw, Latvian dulcimer, choral vocals and whatever else performers have to hand). 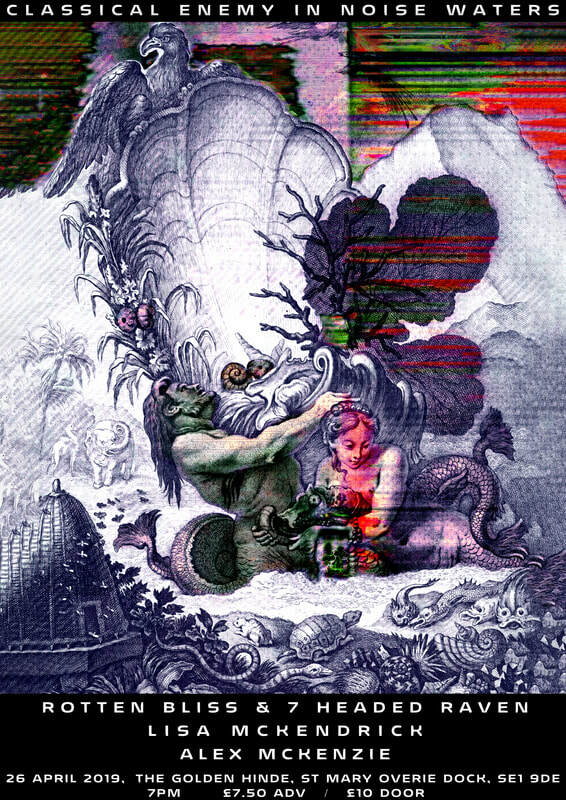 “While on board The Golden Hinde, artists will collectively interbreed two species: noise music and classical music. How can a classical instrument be noise? Find out by watching three different noise classical crossover projects within the heart of a ship drenched in history and mystery. For those of you already familiar with noise we will add to your already well developed misconceptions, and for those of you who are less familiar with noise we may surprise you with where the music travels. “With experimentation at the heart of the music, the artists performs music as a gesture, the essence of live performance. The ship itself is seeping with memory, making it the noise-perfect host for this cross over to take place. Artists will bring together the cello, violin, flute and a choir in one evening. We will welcome sound waves resonating creatures of the sea, wood spirits and nautical murder ballads on this very special evening on board The Golden Hinde. “’Fair Isle’ is a special collaboration between noise cellist Rotten Bliss and international folk choir Seven-Headed Raven. Created especially to haunt The Golden Hinde, ‘Fair Isle’ is inspired by our enduring fascination with the sea in art and folklore and draws from 16th century poetry, nautical murder ballads, and ship diaries, told through fragile and beautiful vocal harmonies, panoramic cello drones, and electronics. 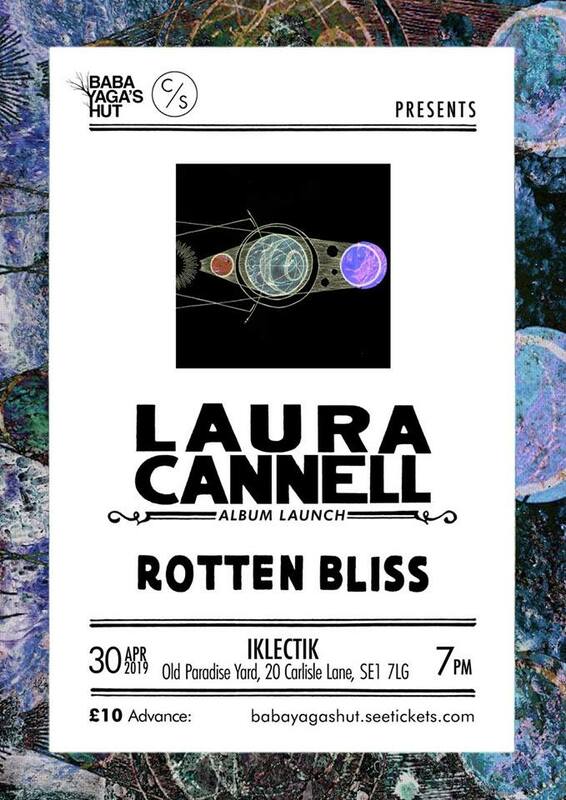 Four days later, Jasmine returns as Rotten Bliss to join the bill at IKLECTIK which launches ‘The Sky Untuned‘, the new album by Laura Cannell. 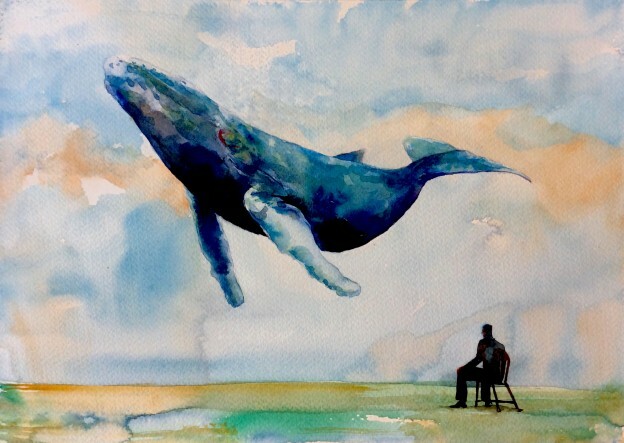 “‘The Sky Untuned’ takes as its starting point the theory of ‘the music of the spheres’, in which the universe is constantly making sound that humans cannot hear. The music is teased out of the land and sky and performed using Cannell’s signature minimalist chamber sounds, utilising extended instrumental techniques of overbowed violin (with deconstructed bass viol bow wrapped around the violin to produce drone and melody), scordatura violin tunings and double recorders (inspired by medieval stone carvings). Led by composer saxophonist Matt London (a 2018 British Composers’ Award nominee), Ensemble Entropy blends music from composed contemporary music and free improvisation. With the core lineup completed by Georgia Cooke (flute), Rebecca Raimondi (violin), Seth Bennett (double bass) and Mark Sanders (drums), they are accustomed to working with prominent, showcased guests (previous examples have included assertive polygenre pianist Matthew Bourne and electrophonic inventor/composer Jenn Kirby). In February 2018 an expanded ten-piece Orchestra Entropy playing at IKLECTIK incorporated improvisers Sarah Gail Brand, Seb Silas, Benedict Taylor, Tom Ward and Joel Bell. A former Theatre de Complicite performer (and a voice student to many vocal stars including Galina Vishnevskaya) with a startling presence, Loré Lixenberg made her mark as the obscenity-spewing heckler-killing act ‘Tourettes Soprano’ (in association with Richard Thomas, for whom she also performed in ‘Jerry Springer: The Opera’). In formal opera circles she’s sung work by a host of contemporary composers (Georges Aperghis, Bent Sørensen, Helmut Oehring, Mark-Anthony Turnage, György Ligeti, Karlheinz Stockhausen, Beat Furrer, Harrison Birtwistle, Peter Maxwell Davies, Earle Brown, Luc Ferrari, Frederic Acquaviva and Gerald Barry), often working closely with the composers themselves. She has also performed audio-visual and installation work with Stelarc, Bruce Mclean and David Toop. In addition to original music by Matt, Loré and Seth, the ensemble will be playing material by Barry Guy, Lola de la Mata, Joanna Ward and sometime Entropy trumpeter James B. Wilson. Despite their increasing whirl of gigs over the past year, it’s difficult to find performance video of V Ä L V Ē besides these gnomic little fragments: glimpses of feet and harps, pedals and synths, shuffles and patch wires. 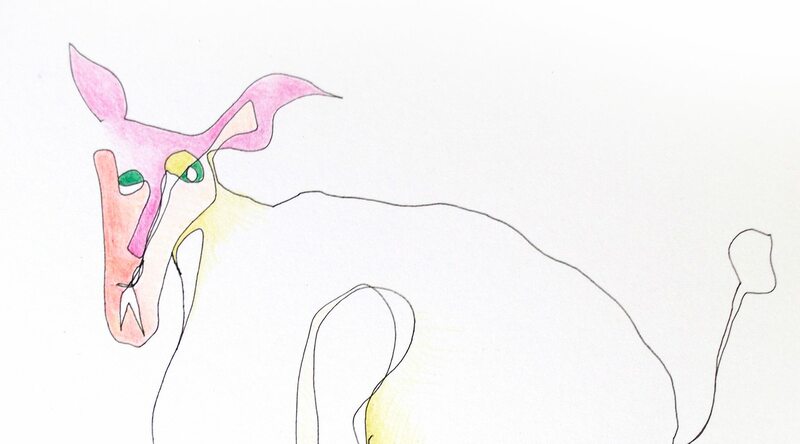 They’ve been rapidly evolving far beyond their beginnings as Chlöe Herington’s vehicle for musical jokes, chance theory and post-Zappa woodwind patchworks and her experiments with samples and homemade instruments. Now, they’re a live, surprisingly accessible avant-everything trio with Elen Evans and Emma Sullivan – reeds and microsynth, melodica, harpstrings and bass, RIO/Raincoats-style vocals that inhabit both the forthright and the naïve – and they’re getting pieces in ‘The Quietus’ about how they’re expanding on synaesthesia and spacework and the disjunction of time, and mining the weird yet archetypal templates of Chlöe’s recurring dreams. While we’re waiting for more evidence to emerge, here are a couple of pieces which represent a couple of V Ä L V Ē’s varied polarities – the avant-rock all-in wrestle match of Rhythm Strip (based on an EEG reading from Chlöe’s mum) and the warming songwork of the more recent Lights – plus one of those distracted fly-on-the wall videos (this time, of Chlöe negotiating a keyboard, pretty much literally). V Ä L V Ē’s next show (just over a week before Chlöe pops up again with the Lindsay Cooper Songbook) is this coming Sunday, supporting the Monkey Puzzle Trio – which unites perpetually/perversely-journeying art-rock and improv drummer Charles Hayward, Pinski Zoo bassist Nick Doyne-Ditmas and longstanding sound-and-place voice artist Viv Corringham. It’s a post-jazz music of deformed rounds, ranging chatter and a kind of reimagined dub focus, via Charles’ assured yet regularly broken-up and disrupted drum cycles, Viv’s cavernous range of vocal effects (stippled by loop pedal and flexible larynx, augmented by mini-disc abuse) and Nick’s bass, which seems to be travelling at two-thirds of the thinking speed of the voice and drums but always knows where to settle and lean on the moving beat. Charles Hayward shows up again just under a week later when he guests at Laura Cannell’s ‘Modern Ritual’ show at LSO St Lukes, performing a self-explanatory experimental piece called ‘30 Minute Snare Drum Roll’, an “improvisational piece that sees him develop a rudimental drum technique into something more complex, subtlety changing density, pressure and volume before our ears.” There are precedents for this kind of thing – people like Max Roach or Art Blakey keeping an audience enthralled by a quarter of an hour of carefully modulated hi-hat – but any excuse to see Charles thinking hard behind a drum kit is a good one. In many respects, this is a revisitation of the ‘Memory Mapping’ show which Laura brought to Daylight Music in November 2016. 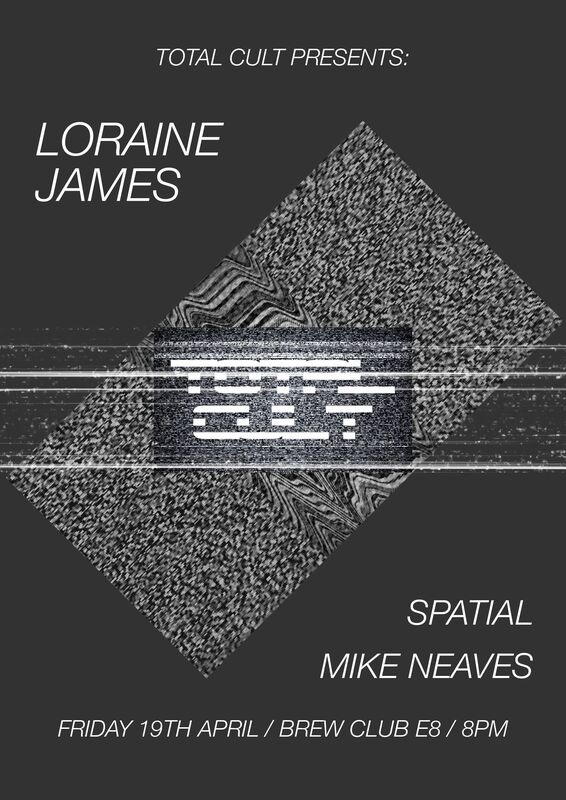 More to the point, it also revives an event at Cafe Oto last March, with repeat appearances for Charles’ drum roll, for ‘Wire’/Resonance FM/Arc Light Editions mainstay Jennifer Lucy Allan and for Suffolk-based “edgelands” musician Andre “Hoofus” Bosman. In keeping with this drift into New Weird Britain ambience, writer, filmmaker and ‘Quietus’ co-founder Luke Turner explores his own world of liminals with a talk on “urban forests, family, death and sexuality”. This is based around his forthcoming “spiritual memoir” ‘Out Of The Woods’ – a study of Luke’s own coming-to-terms with his bisexual identity and his past experiences with sexual abuse and a religious upbringing, alongside his investigations of “memory and experience in the context of landscape and the natural world”. It’s ​a journey framed by the trees and the history of Epping Forest, which for Luke seems to have become representative of an ur-forest which allows for the expression of “a wilder, truer, more spiritual self” (and brings those wood-woses, drones and leafery which have threaded through ‘The Quietus’ into fuller perspective). Laura, meanwhile, keeps up her own traditions of reinvention, refurbishment and recontextualising on double recorder and bow-threaded violin: generating eerie, often-violent sonic landscapes of folk melodies and sharp-minded post-classical noise, each calibrated to the particular place where it’s being performed. The evening will be topped off by a large group collaboration involving all of the named performers plus additional guests. 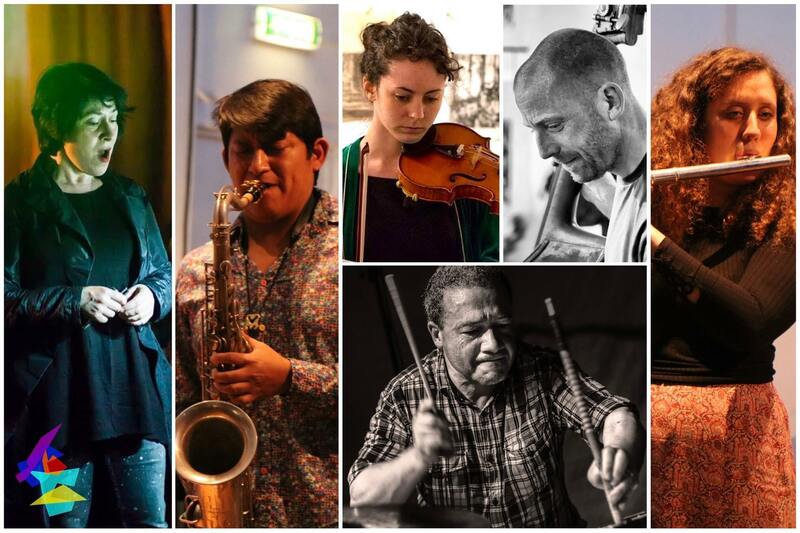 More assorted improvisations and explorations come on the 22nd, when Ashley Paul​ and Tom James Scott team up as a duo at The Old Dentist in Homerton. Both have a fair amount in common, as multi-instrumentalists heading up small exploratory record labels (Ashley with Wagtail, Tom with Skire). Equally, there’s enough distinction between them to make for some interesting friendly frictions as Ashley’s American background, reeds leanings and free-form tastes interact with Tom’s Cumbrian background and the process that’s taken him from classical guitarist to experimental minimalist. Opening the show is Ben Pritchard – not to be confused with the former Fall guitarist, he’s a London-based artist, songwriter, experimental musician and Ashley Paul bandmember who writes disintegrating-shack instrumentals for prepared acoustic guitar and percussion – strangely compelling pings, scrapes, rattles and string noise with an emotive visual quality as well as a knack for summoning in illusions. You can somehow hear impressions of ghost fiddles, a whittler’s workshop, or vocal chords tweaked by breeze gusts. When he wanders into song, it’s along the frail, fluttering-shirt lines of end-of-the-road Talk Talk, or the sparsest of Robert Wyatt: spontaneous-sounding experimental folk sketches with an undertone of parched, amnesiac blues. Tags: Ashley Paul, Ben Pritchard, Charles Hayward, Chloe Herington, Dave Fowler, Elen Evans, Emma Sullivan, Glowering Figs, Hoofus, Ivor Kallin, Jennifer Lucy Allan, Jerry Wigens, Laura Cannell, LSO St Luke's (venue) - St Luke's - London, Luke Turner, Nick Doyne-Ditmas, Pinski Zoo, Servant Jazz Quarters (promoters), The Quietus (publication/event/label), Tom James Scott, V A L V E, Viv Corringham, Ya Basta! This week finds me ill, exhausted, busy and needing to catch up with things outside the blog – and hence unable to go into the usual detail. Consequently, the usual semi-coherent stammering of recommendations is being cut short. I’m just going to offer a few quick notes and pointers to my picks from this London weekend’s explosion of interesting concerts, and will let you catch up with them yourselves. 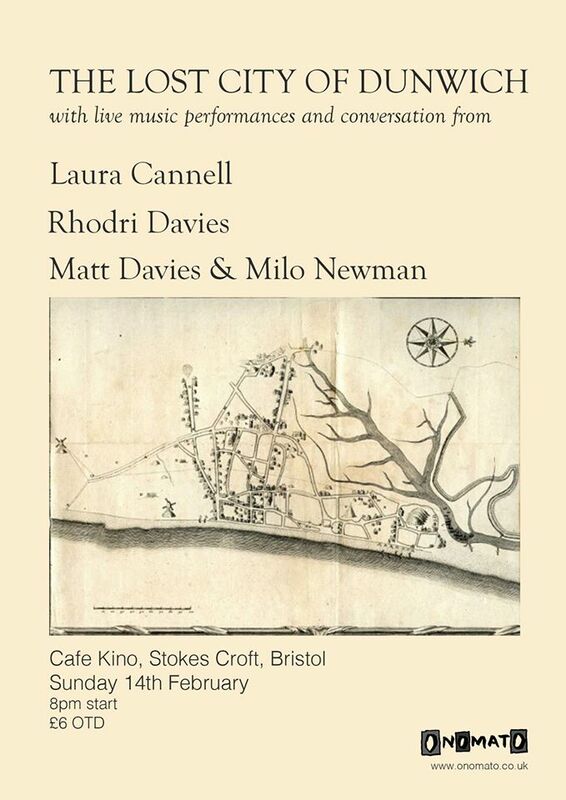 On Saturday, Laura Cannell‘s hosting her ‘Memory Mapping’ afternoon at Daylight Music, including an improvised duet between herself and fellow alt.violinist Angharad Davies, the coastline sound creations of former ‘Wire’ writer Jennifer Lucy Allan and what looks like a Charles Hayward piano piece which may or may not be a song cycle. I’ve already previewed that here a few weeks ago (complete with sounds and visions), so go back and have a look. 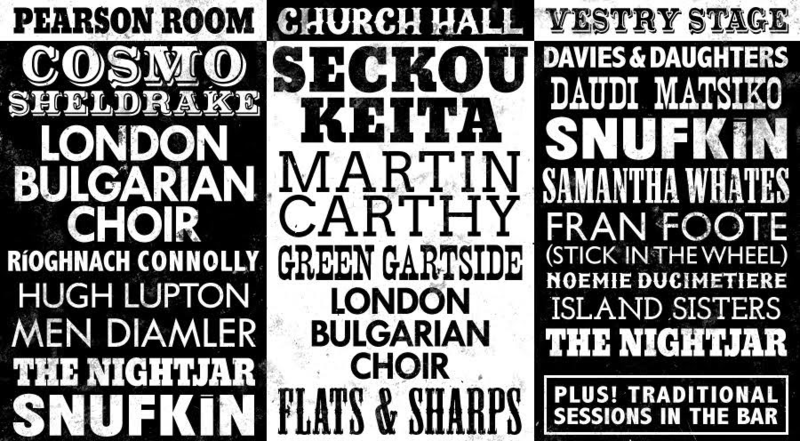 At the same time, an incredible wealth of acoustic, folk and international-indigenous music talent will be riding into east London for two twinned and overlapping Nest Collective events at the same impressive Dalston venue – St Mark Church, a grand Early English Gothic Revival pile sometimes described as “the East End’s cathedral”. 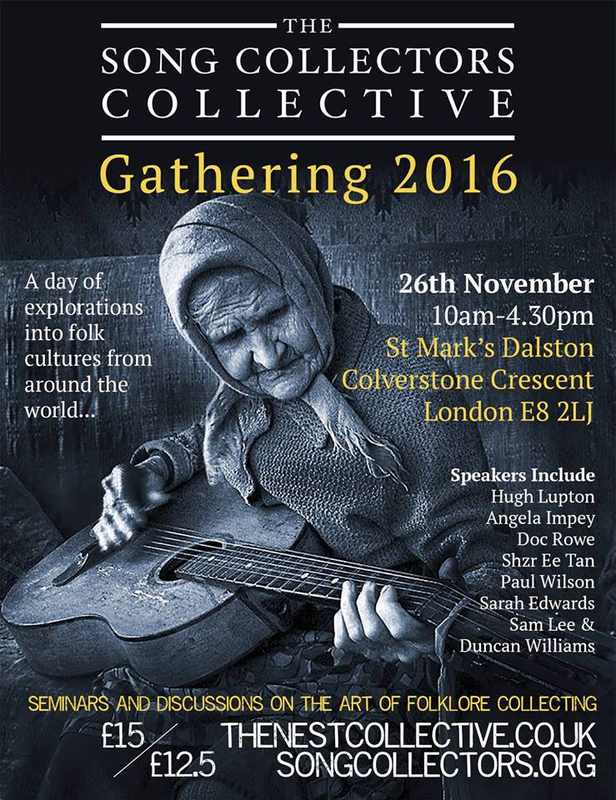 Beginning in the morning, the Song Collectors Collective Gathering celebrates and presents the people who conserve rare oral culture within their communities in Britain, Ireland and beyond; and explores ideas spinning off from that. This year it features (among others) storyteller Hugh Lupton, tireless folk archivists Doc Rowe and Paul Wilson, ethnomusicologists Angela Impey and Shzr Ee Tan, and ethnobotanist Sarah Edwards. Topics explored will include song collecting in South Sudan and Taiwan, Doc’s vast archive of unseen videos of Britain’s great traditional singers, political-musical activism on the internet, and “plant knowledge collected with the Songman”. Starting up in the afternoon is Unamplifire – a jaw-dropping seven-hour assemblage of international folk talent which, at a better time, would warrant a whole post to itself. Traditional and curated music from England, Ireland, Eastern Europe and West Africa, Okinawa and Taiwan, both pure and cross-pollinated; with encompassed styles including griot, London psych-folk and deep-probing acoustic pop and instrumentation including kora, whistles, violins, acoustic guitars, electronics and – above all – the human voice in all of its diversity. For the full list of Unamplifire players, take a look at the details below. Having successfully transferred from north-east London to west London, Tuesdays Post are staging another gig of electronic-slanted progressive/improvisational music on Saturday evening. This week, founder/regular Georgina Brett picks up her voiceloops to engage in a pair of superbly cluttered duets. 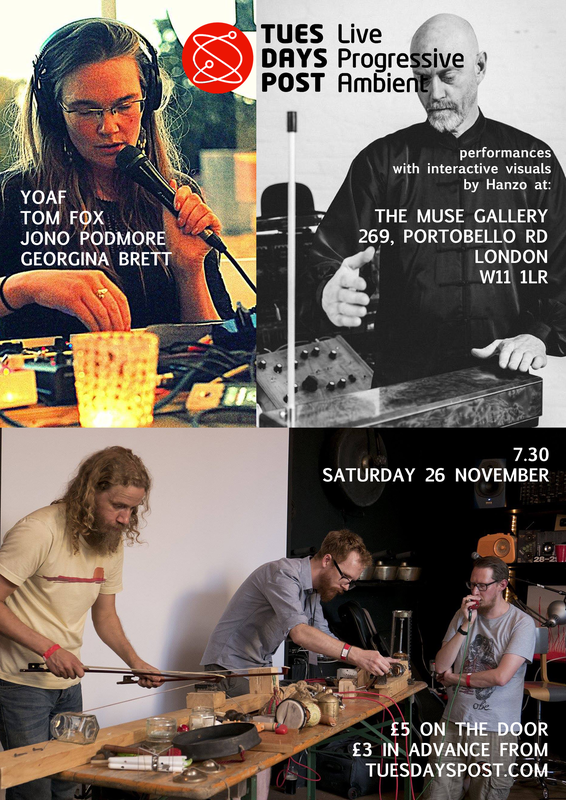 One of these will be with Jono Podmore (the theremin, delay and ring modulator–wielding Metamono member and Kumo mastermind, who’s promising to bring along an extra selection of intriguing technological gizmos), and another with electro-acoustic instrument inventor Tom Fox (creator of the Springything, the Multi-Dronemachine and the Twitter-triggered Hummingbird). Tom will also be appearing as one-third of improvising experimental textural noise trio YOAF (the other two thirds being Jon Saunders and Tim Yates). Interactive visuals will be provided by Hanzo. Baba Yaga’s Hut (who haven’t featured in ‘Misfit City’ for a while, thanks to buggered-up mailing list problems) are also doing the honours with two interesting sounding gigs over the weekend. Each of them features what’s becoming a regular Baba Yaga format: an intriguing well-known underground import plus a home-grown Baba regular. 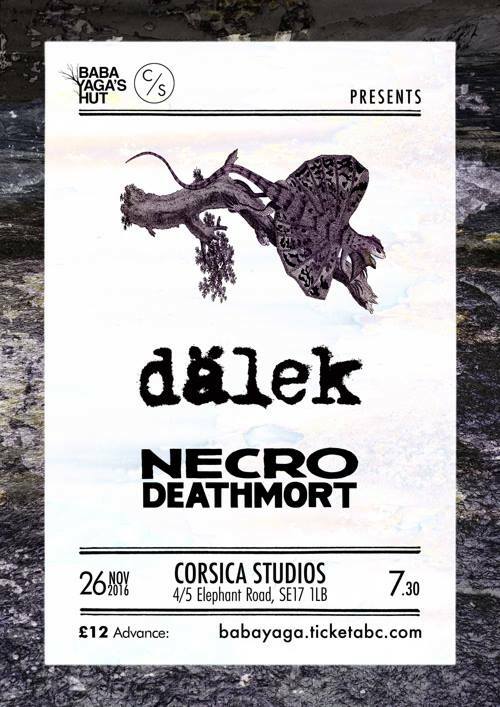 The first of these is an electro/beat fest with long-lived New Jersey hip-hoppers Dälek (whose dense, industrially-slanted noise-stew has annoyed purists and thrilled listeners since 1998) and edge-of-the-seat electronicists Necro Deathmort whose tangled fusion of doom metal, droning dystopian science-fiction synth noise and free-jazz echoes sees them flit like plague mosquitoes from genre to genre. The second is a free showcase for all-female Finnish trio Olimpia Splendid (whose Can-like psychedelic grooves, dogged dour-skew riffing and growly babydoll vocals have been gathering them plenty of attention over the last couple of years) and London pagan “aggrocultural punktronicist” trio Snapped Ankles (the ones who dress up in striking topiary costumes as wild woodwoses, swaying behind various customised instruments like giant hedge carvings while picking out noisy ritual rhythms and post-rural, post-industrial chanting). All of this going on… and I’m too knackered to drag myself to any of it. The story of my year, really. Addresses, links, times etc below. 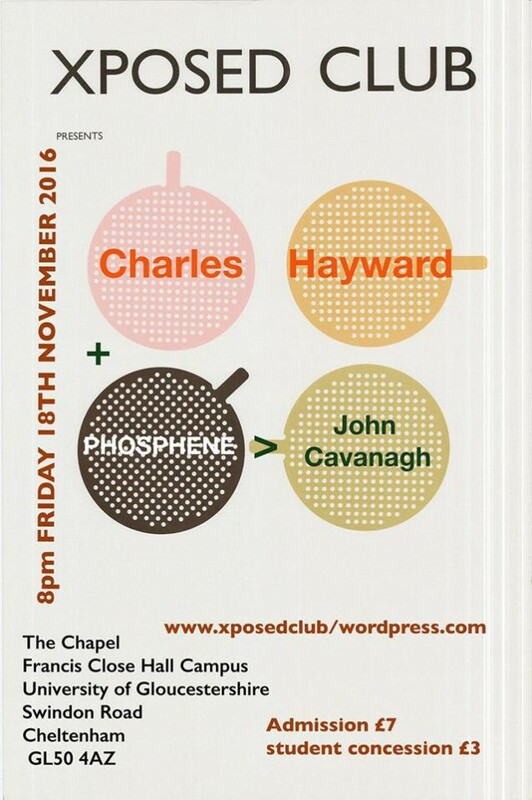 Charles Hayward – drummer, songwriter, improviser; patron saint of South London spontaneity. Creator, humble communitarian and sharer. Kit-and-tapes driver for avant-rockers This Heat and Camberwell Now! during the ‘70s and ‘80s; more recently, the curator-enabler of experimental multi-media events such as Accidents & Emergencies. 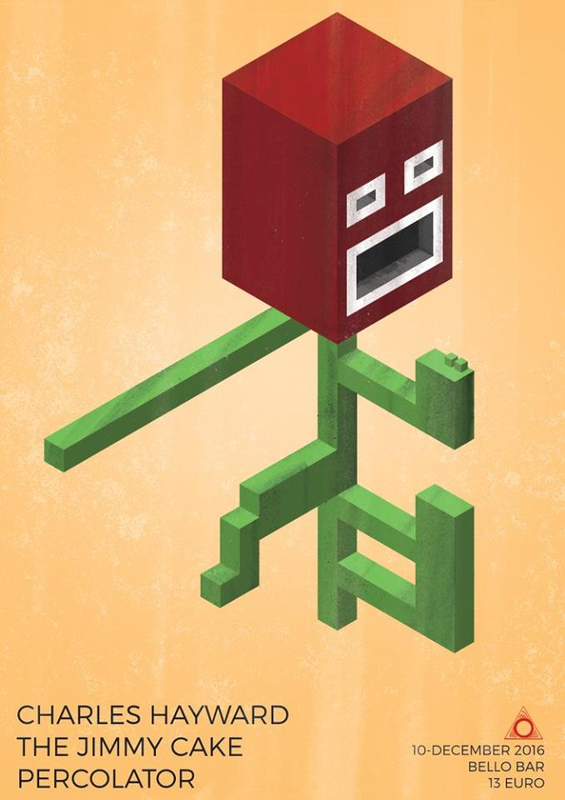 Internationally reknowned but publically anonymous go-to bloke for musical support and thrilling upset. A musician who goes out and does. Here are four separate upcoming instances of Charles Hayward in the act of doing: all taking place this month or next month. As good a hook as any to hang a ‘Misfit City’ post off. “The Swedish musician Samuel Hällkvist was given the ‘Jazz in Sweden’ award in 2010. It caused some controversy at the time because Samuel is a guitarist who doesn’t fit comfortably into the template of Scandinavian jazz. Nordic brooding is not his style at all. Instead Samuel brings unsurpassed wizardry to the use of effects pedals, which he deploys with great discretion and aplomb. He has toured extensively in Scandinavia, other parts of Europe and Japan, as well as touring the UK in 2012, where he performed with Yazz Ahmed, Denys Baptiste and Gary Crosby. 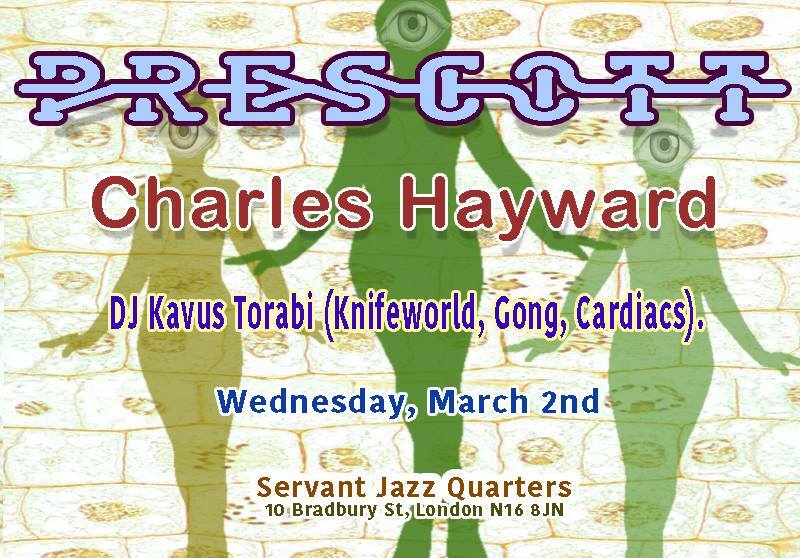 “Samuel is joined on this occasion by a carefully selected cast, featuring Ruth Goller (the bass guitarist of Acoustic Ladyland), the wonderful Charles Hayward on drums (This Heat etc.) and free improviser Noel Taylor on bass clarinet. The ensemble is a combustible blend of elements which promises high-energy rhythmic patterns awash with thunderous beats of drum and bass, and surmounted with the languorous, rich tones of bass clarinet. “Charles Hayward‘s ‘(begin anywhere)’ is a new project centred around songs performed at the piano, a sequence of betrayal, paranoia, subterfuge, opening out into resistance, hope and humanity, interweaved with sound events, drums, spoken word, performance. Stark, minimal arrangements; an unexpected departure. 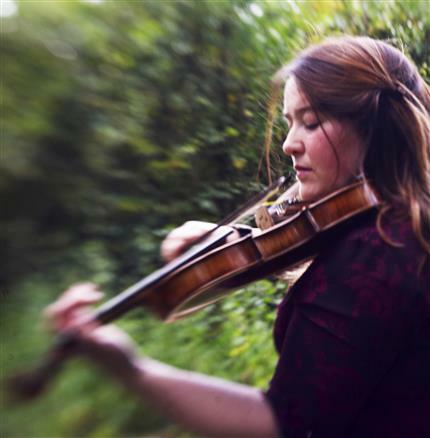 “The Arctic Circle At Ten celebrations continue courtesy of experimental fiddle and recorder player Laura Cannell, bringing together musicians whose work is both spontaneous and deeply inspired by their surroundings. 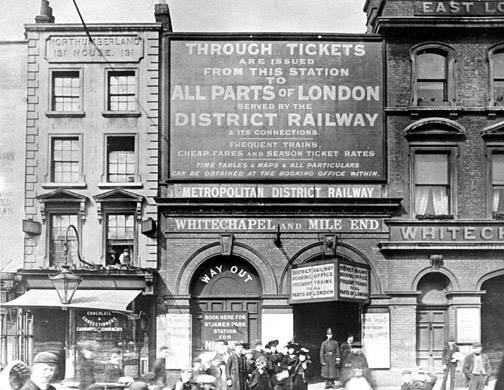 Using real and imagined memory, ideas are mapped internally and externally and turned into atmospheric, moving and unexpected performances. “Mythos Of Violins is the experimental violin work of Laura Cannell and Angharad Davies, creating new works inspired by location and memory and “puzzling over the unsconcious or conscious effect of place on the creative development of an artist.” ‘The Scotsman’ reviewed their performance at Glasgow University Chapel earlier in April this year as “hypnotic… they made judicious use of the venue as they circled the pew-bound audience, unfurling a tapestry of intense scratches and squeals – as if the cloisters had been infested by an attack of rabid rats – fused with discordant prettiness and yearning hints of Celtic folk.” Laura and Angharad will be performing a special piece inspired by the Union Chapel. Laura will also be performing a solo set of her own. Jennifer Lucy Allan – former online editor of ‘The Wire’ (and still running their Resonance FM radio show), as well as being the co-runner of experimental record label Arc Light Editions – will be weaving rural and industrial soundscapes through this very special event (possibly including evidence of her ongoing research project on fog horns).” Also to have played was Hoofus, a.k.a. Andre Bosman, an electronic musician based in coastal Suffolk. Focused on live performance, emergence and improvisation, Hoofus uses drifting oscillators, overlapping frequency modulation, ragged percussion and a sense of tactile interaction between performer and machines to create music of wayward eerie wonder. Drawing on ideas of edgelands and peripheries and the intersecting of wilderness with urban/industrial spaces, Hoofus explores the uncanny beauty of the intangible, the occult and the arcane seeping through into the post-industrial 21st century world of reason and corporate compliance. Unfortunately he won’t be performing them here this time around – maybe next time? 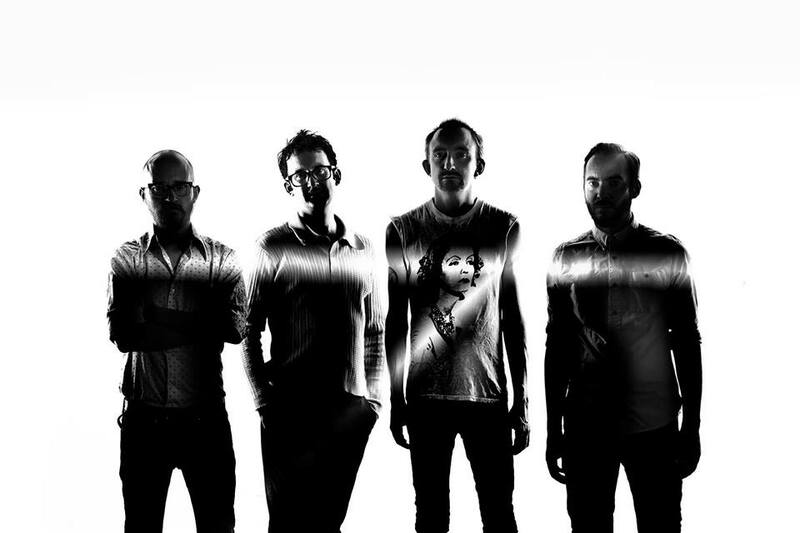 For this December show, Charles heads up an evening of “loud instrumental space-prog-post-apocalypse rock”. There’s no word on what he’s specifically doing, but I’m guessing it’s a return to the furious drums, the disruptive tapes and the man-in-the-moment vocals of his main improvisation style. Event organisers The Jimmy Cake are sixteen-year instrumental veterans of Irish instrumental rock. Over five albums under the leadership of keyboard-playing main-brain Paul G. Smyth they’ve employed banjos, clarinets, strings and brass – mixing Chicagoan post-rock, European space rock and Canterbury prog with the happysad fiddle-and-whistle uplift of Irish music sessions – or lurked behind gonging walls of noise and synth. Fast friends with Charles already (he guested at their previous annual show, prompting his invite back for this one), they’ve also backed Damo Suzuki – a set of influences and associations which should make their intentions, impulses and credibility clear. When they’re clicked into “simple” mode, Waterfordian trio Percolator bounce and sing-song like an appealing, easily-approved indie-pop mix of The Stooges, Television, and Pavement influences, with additional craic courtesy of the chatty vocal rapport between drummer Eleanor and fuzz-sliding, odd-angles guitarist Ian. When they pull out the remaining stops on their organism and get more complicated, they transform into something much more remarkable – one of the few bands who can appropriate that lazy “sounds like My Bloody Valentine” tag – or have it foisted on them – and not disgrace it. The wilder tracks on their last EP, ‘Little Demon’ are whirlwinds of biplane-crash guitar drones, road-hammering motorik drums and bass surges. They sound like so much more than a rock trio – virtual unknowns already able to capture the wheeling cosmic dizziness of a full-on King Crimson soundscape or the pre-apocalyptic glower of a Gnod blur-mood as well as the microtonal shear of Kevin Shields. 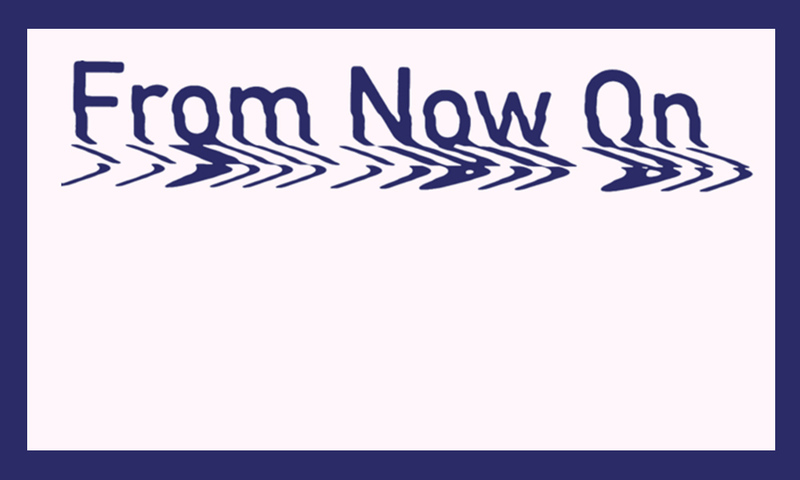 As some of you may have guessed already, I’m treating this blog – including the long stretches during which I’m only posting up about live dates – as an ongoing education. Plenty of the musicians I’m covering I’ve only learned about shortly before covering them; in other cases, in pursuing their tour dates around Britain or elsewhere in the world, I’m learning about places, projects and initiatives which I might otherwise have been ignorant about. 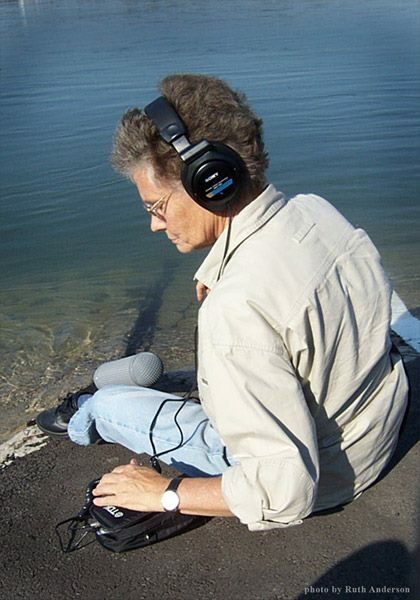 Below are videos of Laura in concert and one of ‘The Drifters’, a film soundtrack by Phil using only sounds from sea/environmental field recordings, which was commissioned for Colchester’s Lightbulb Festival in 2015. 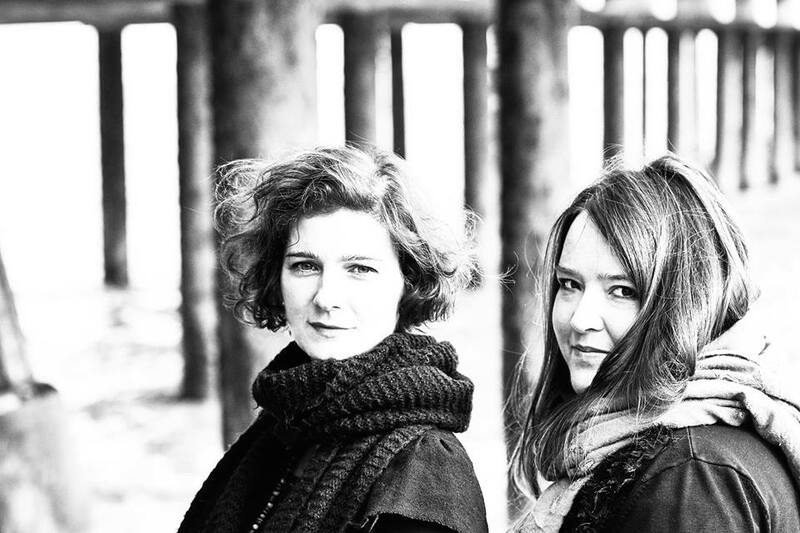 “Shakespeare’s ‘The Tempest’ is set in new surroundings in this performance of vocalist and composer Clara Sanabras’s new album ‘A Hum About Mine Ears’. More than a simple soundtrack to the play, ‘A Hum About Mine Ears’ takes some of the ideas and themes in ‘The Tempest’ – loss and retrieval, exile and reunion – and relates them to Sanabras’s own experiences as an emigrant. While some songs lift direct passages from the play, surrounding these in Britten Sinfonia’s soaring strings and the swirling vocals of choirs Chorus of Dissent and Vox Holloway, conducted by Harvey Brough, others place the characters in more modern settings – Sanabras’s powerful soprano solos casting Ariel as a festival-crazed free-loving spirit, or Miranda as a free and independent woman, emancipated from Prospero. Drawing on elements of everything from blues and jazz to European folk, see one of Shakespeare’s most famous works unravelled in a performance as deep, mysterious and expansive as ‘The Tempest’ itself.